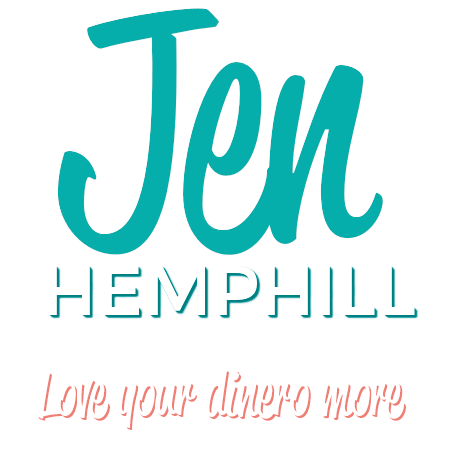 If you are an expat or thinking of living overseas, this episode is for you. We have Doug Goldstein sharing with us his financial wisdom from being an expat himself and a CFP. His case for keeping investment accounts in the U.S.
As a child, finances, and money were talked about fairly often. Doug’s grandmother was actually one of the first women to be licensed as a stockbroker in America. In fact, Doug is surrounded by women who have been very active in the financial sector with his grandmother as a stockbroker, his mother as a financial advisor and now his wife who is the CFO of their company. Doug has always been about relationships and helping people achieve their dreams. He chose the profession of CFP and started his career on Wall Street, soon after graduating college. At the time, he was partners with his mother who was the Vice President of a big company. 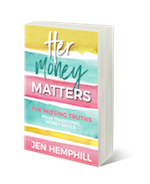 He learned how to run a business from her as she was a teacher when he was growing up, and then started her own financial planning business that she ran for 17 years. It was via her teachings that he realized that education was the most valuable thing investment advisors could give to their clients since no one has a crystal ball to predict how things are going to work out. After marrying and having their first children, Doug and his wife decided they wanted to raise their children in Israel. There, Doug continued to do the same thing he was doing in the US – working with Americans (expats) all over the world and handling their US brokerage accounts and investment. Although handling finances in another country is much the same as in the US. You do have to consider the tax implications. Doug suggests working with a cross-border tax accountant who deals with this type of situation daily. If you have assets outside of the US in excess of $10,000, you are required by American law to report these assets. This is not limited to funds that you yourself own, but also any funds that you are in control of. You may or may not have to pay taxes on these assets but failing to report these to the government can result in very hefty penalties. Leaving the United States does not mean you are leaving the IRS. The IRS will follow you until the day you die. The United States is one of only two countries in the world who tax their citizens no matter where they live. Often, Americans in a higher tax bracket invest in Municipal bonds, which do not get taxed on the interest generated. However, moving to another country can expose this revenue to taxation. There is also a currency risk in moving to another country and having investments in the US. In cases where when the dollar weakens, as it often does, the buying power of the dollar also goes down which can affect your monthly budgets and overall expense dollars. Make sure you have a good cash supply – Doug suggests at least 6-9 months of living expenses. Moving is expensive, and unforeseen expenses are common. The size of homes is different in other countries, and often on the smaller side. Be sure to consider this when bringing your belongings overseas. Have checklists to plan ahead. Bring your paper statements with you. Know your budget – consider all the expenses that might not be obvious such as sports for kids, healthcare, vacations etc. Ensure that you are in control of your finances, and hire a budget/financial coach to help you get on track before you start investing. If you do end up moving overseas, It’s OK to keep your money in America. People feel that they should move their money to the country they are living in but the programs are often very different, and the tax implications can be daunting. For instance, if you are an American and live overseas, and you go to a local broker to purchase mutual funds, the IRS is going to consider this investment as a PFIC – Passive Foreign Investment Corporation. The local banker isn’t going to know this and will sell it to you, and you will end up in a nightmare of taxation. Doug suggests working with an advisor to make sure you are making the most of your financial profile and investing and managing your money wisely. 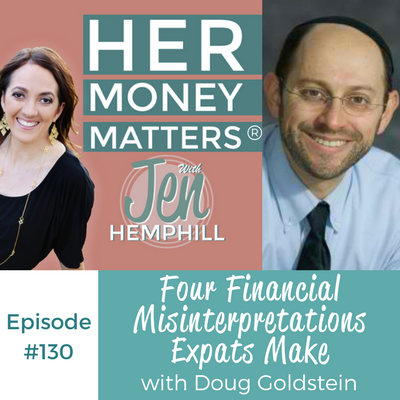 The post, HMM 130 – Four Financial Misinterpretations Expats Make With Doug Goldstein appeared first on the Her Money Matters Podcast.